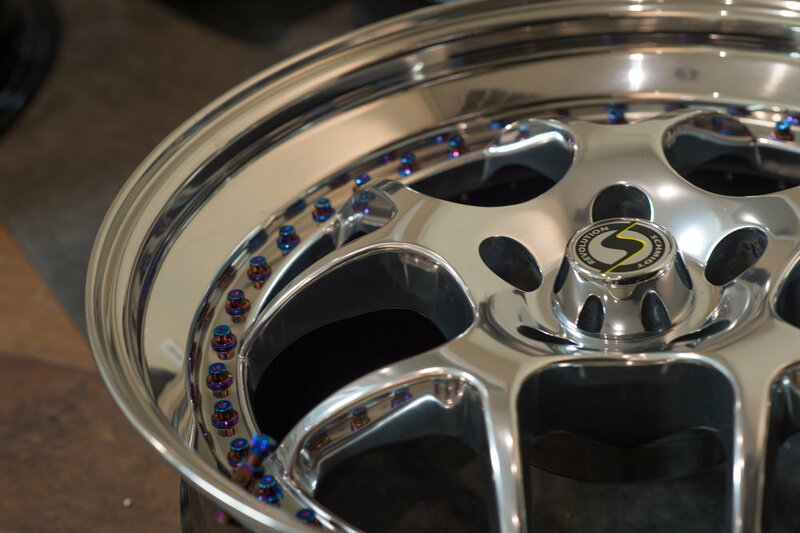 Taking shine to the next level! 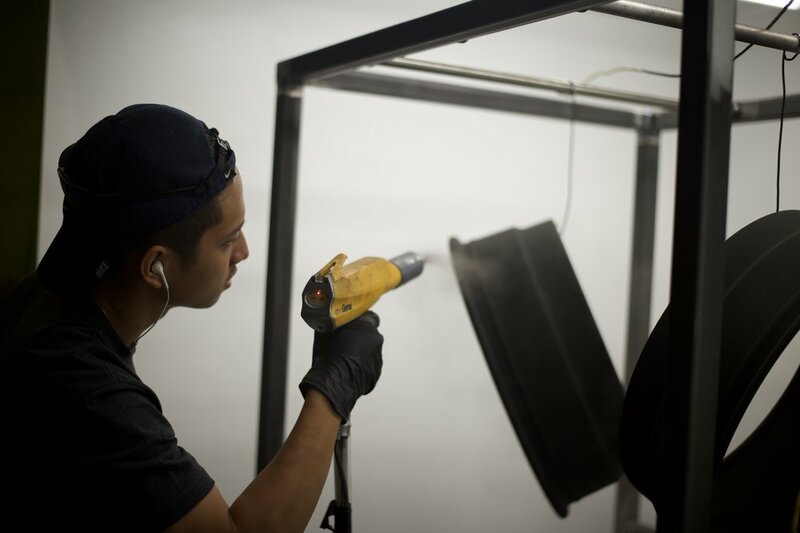 Ceramic polishing is a two stage process that involves a cut phase where thousands of plastic cone shaped media prep the surface for the polishing phase. 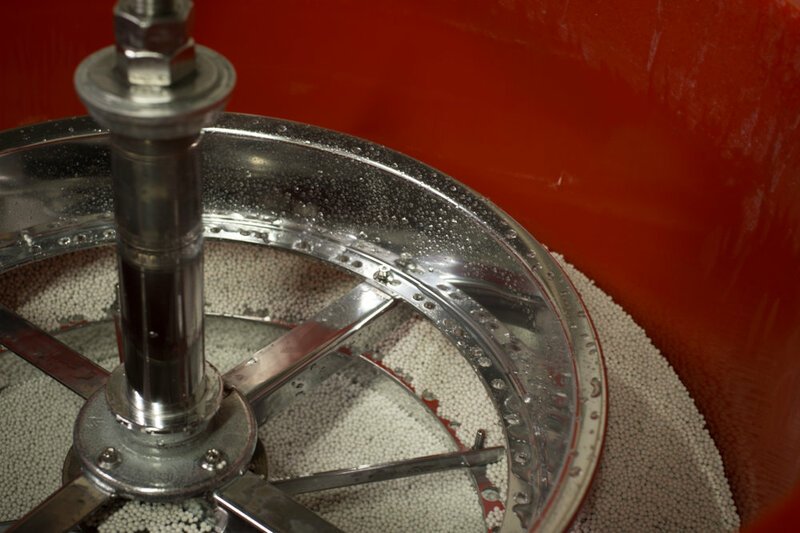 In the polishing phase ceramic pellets reach into every crevice where hands cannot reach, ensuring a mirror shine on every surface. 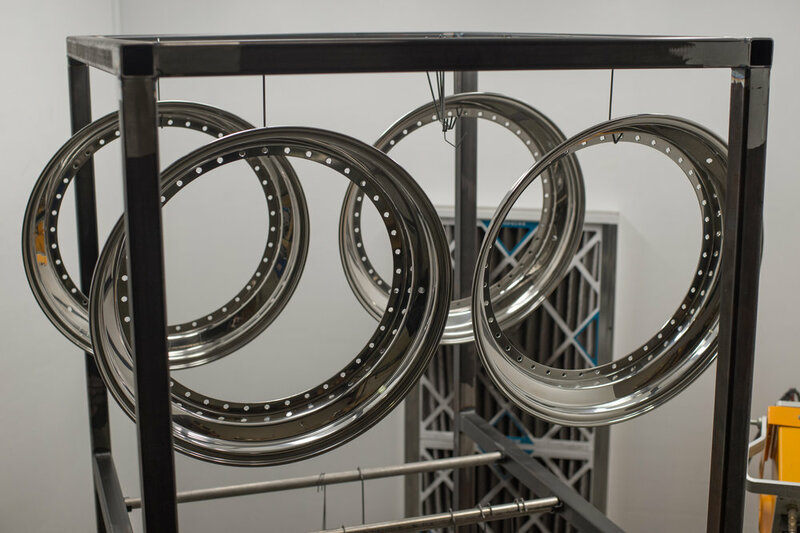 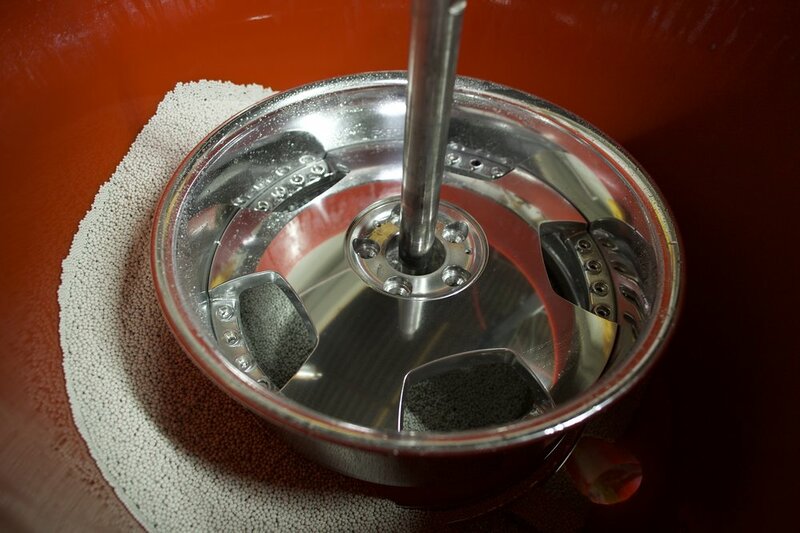 Ceramic Polishing is performed with a machine that can hold up to 26" wheels. 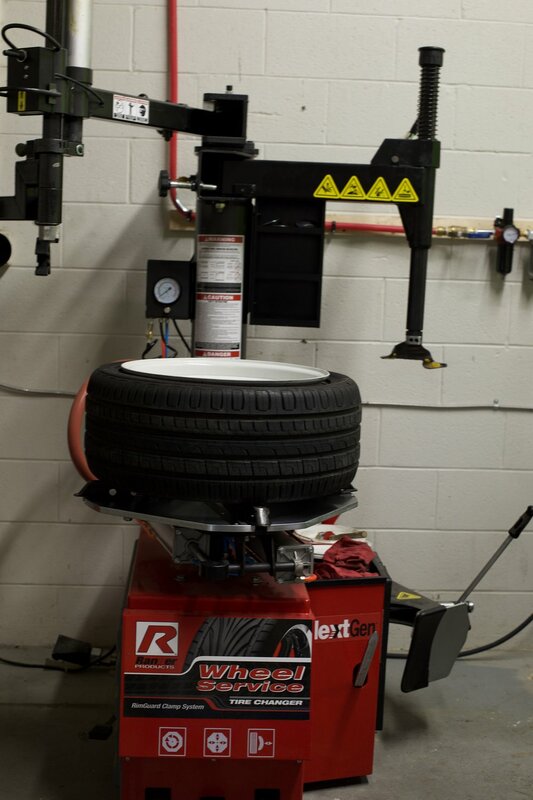 Contact us for a customized quote! 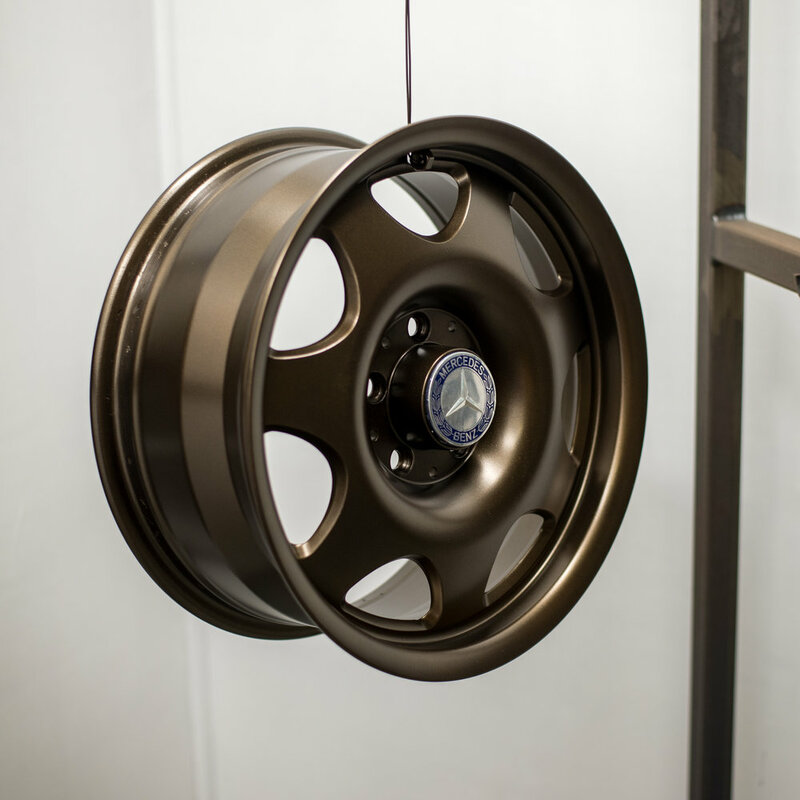 What ever color you envision for your next project we can make it a reality. 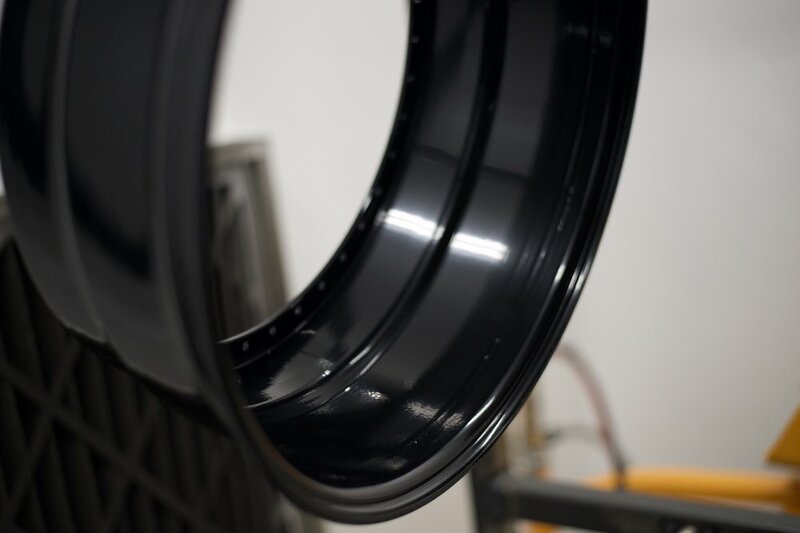 We have access to thousands of colors and can do anything from a matte finish to a translucent gloss! 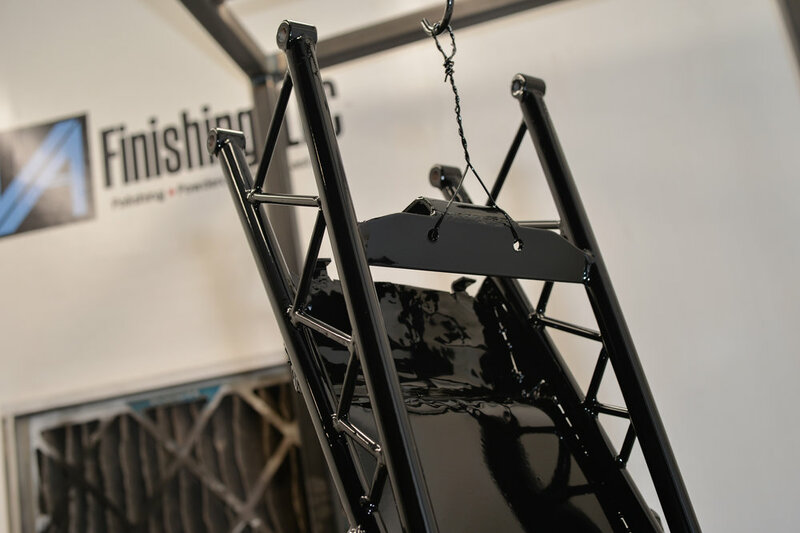 The benefit from powder coating is an easy surface to clean and maintain with lasting protection. 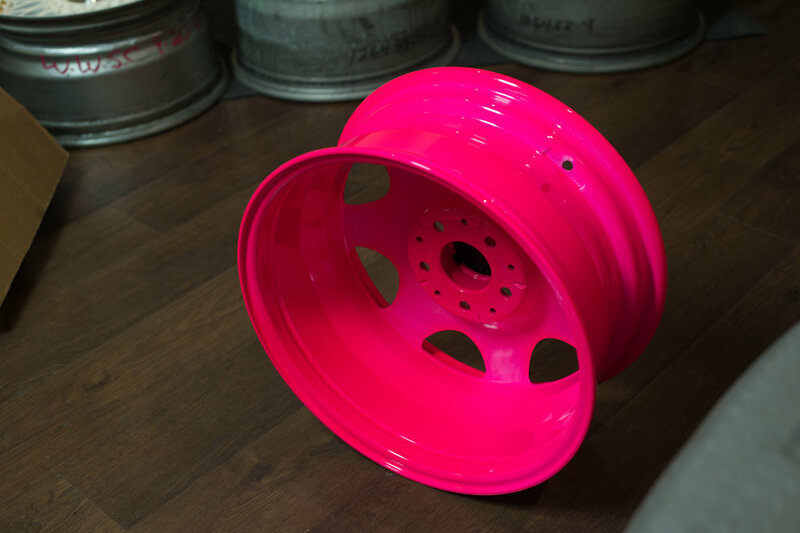 Not limited to Rims! 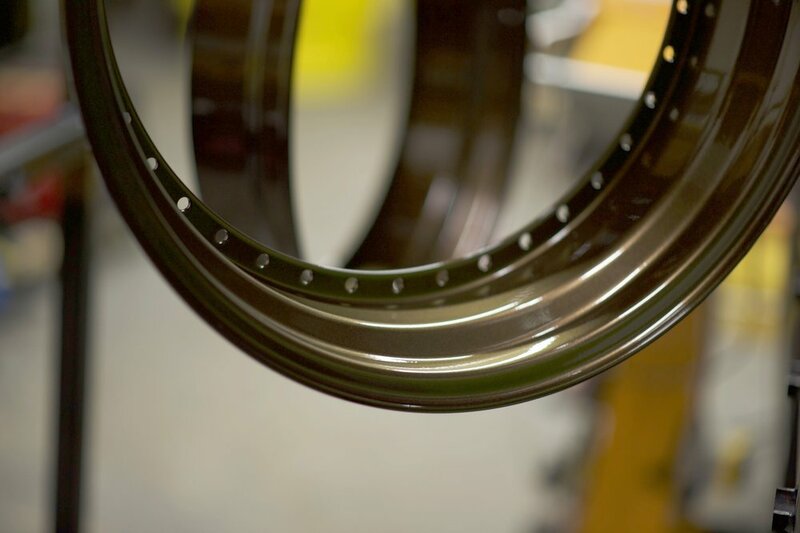 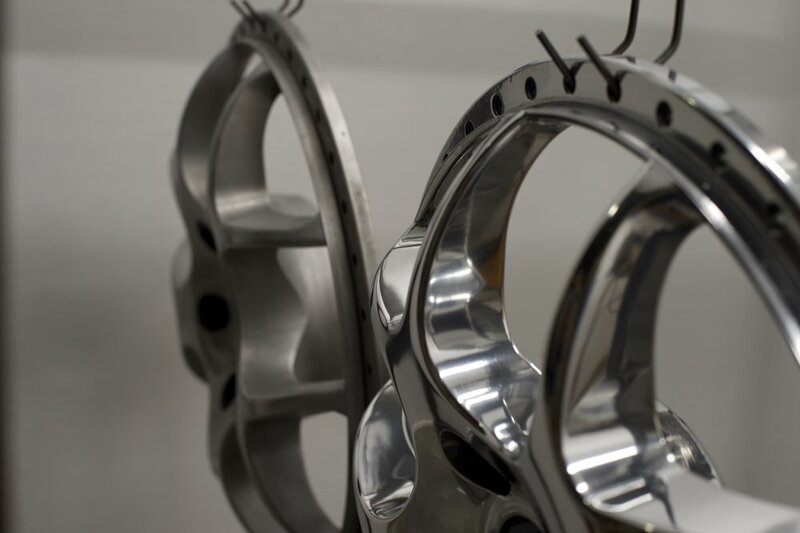 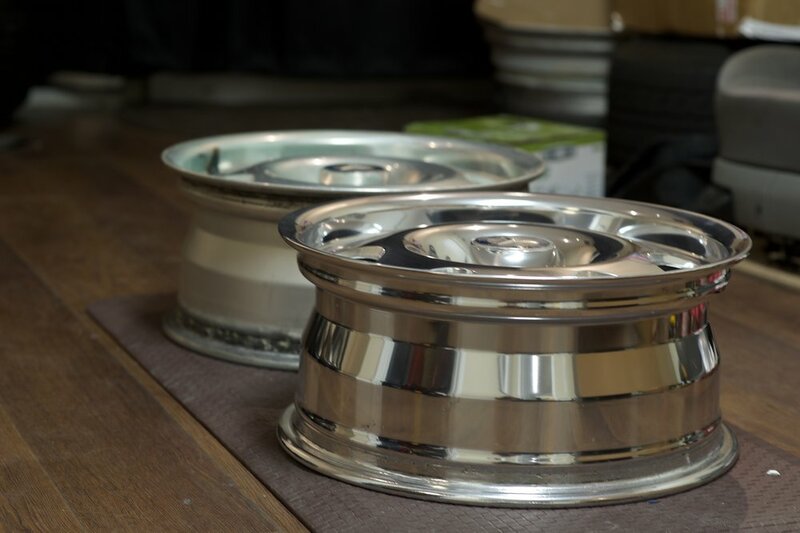 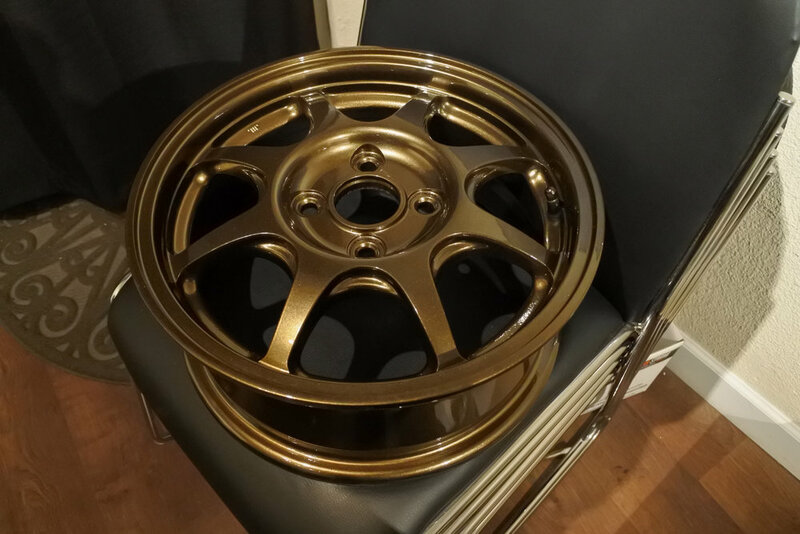 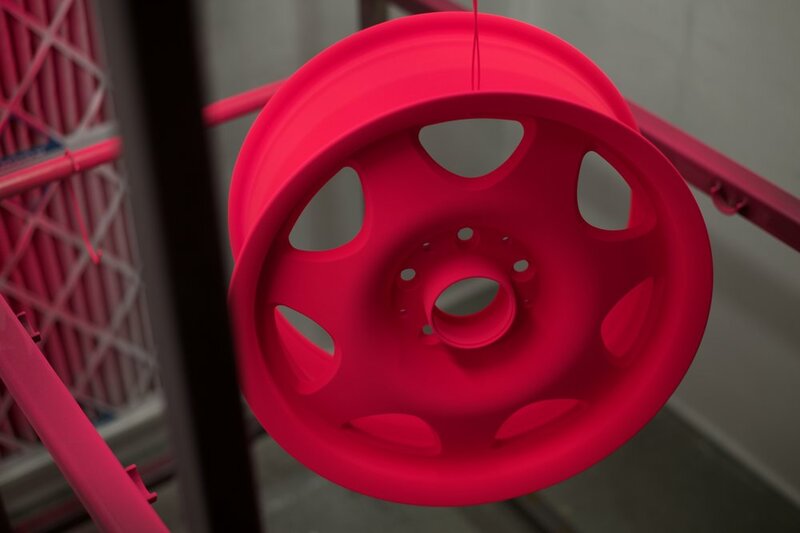 While our main projects involve giving new life to wheels, powder coating is preferable for any metal object compared to traditional paint due to its durability through abrasion and corrosion resistance. 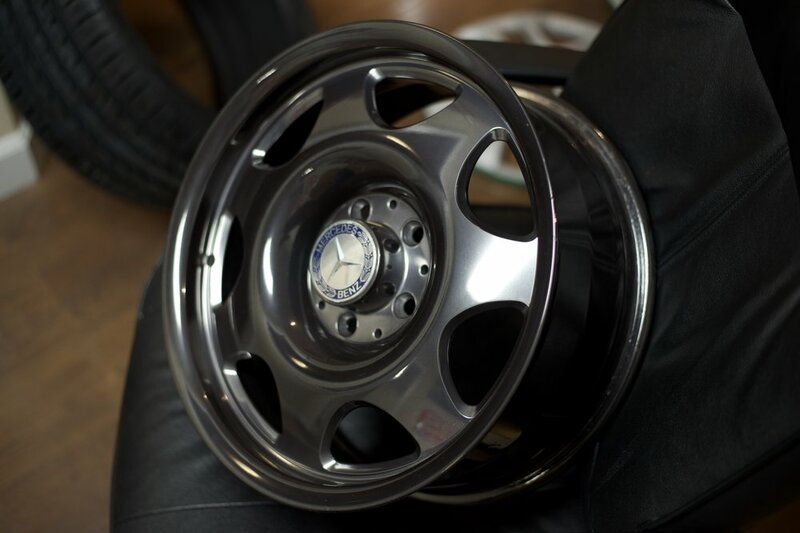 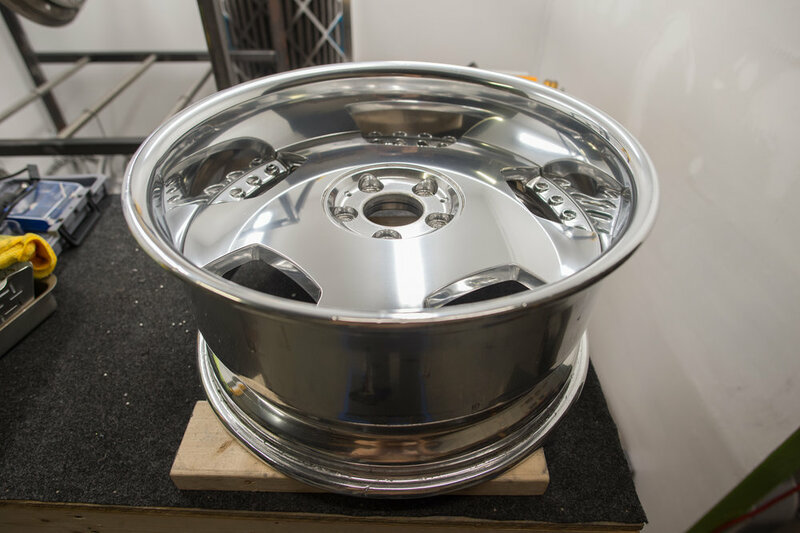 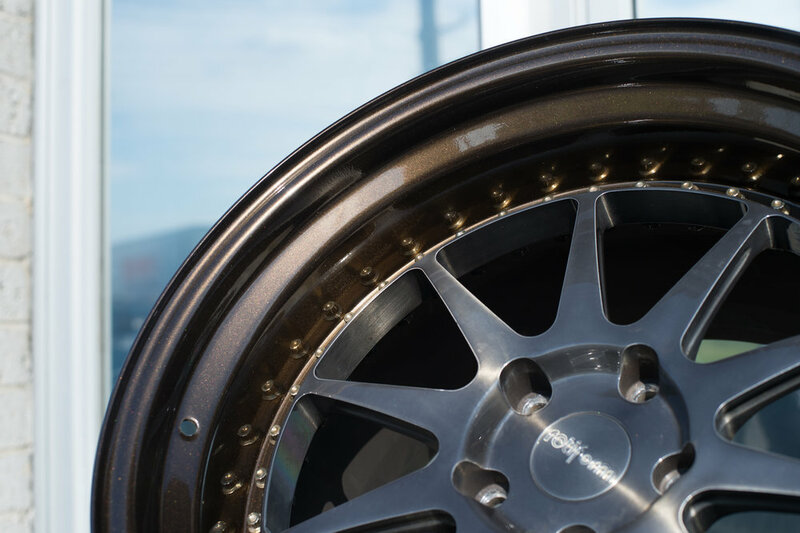 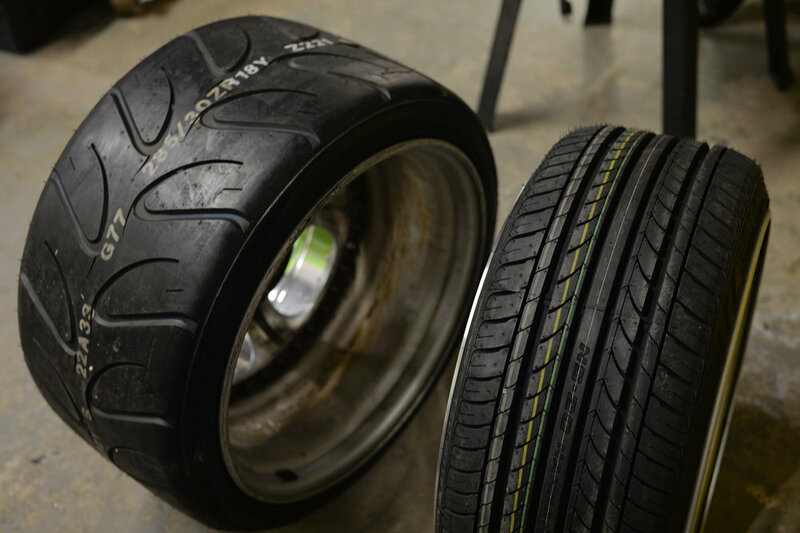 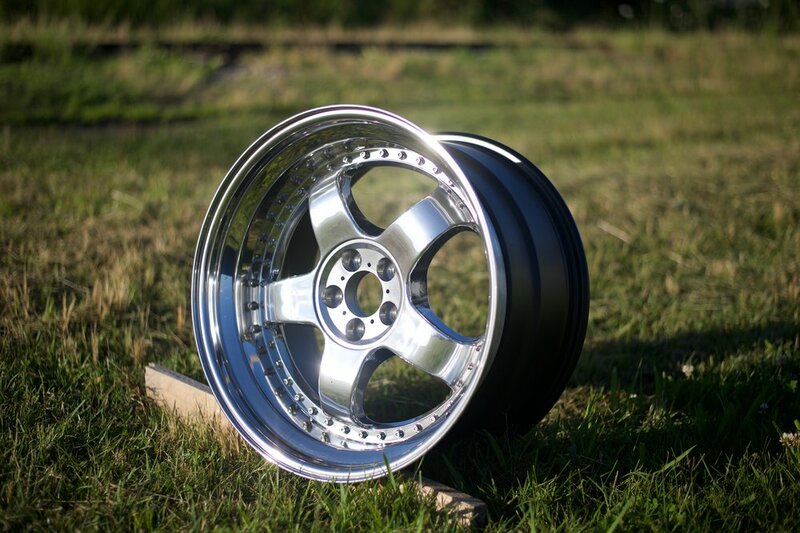 In addition to Polishing and Powder coating, we offer professional tire services. 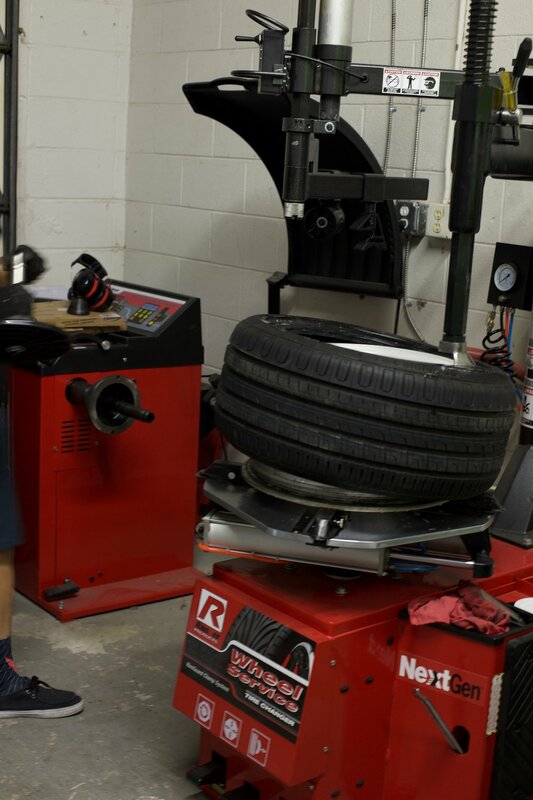 We are not a full service shop; therefore, we do not service vehicles. 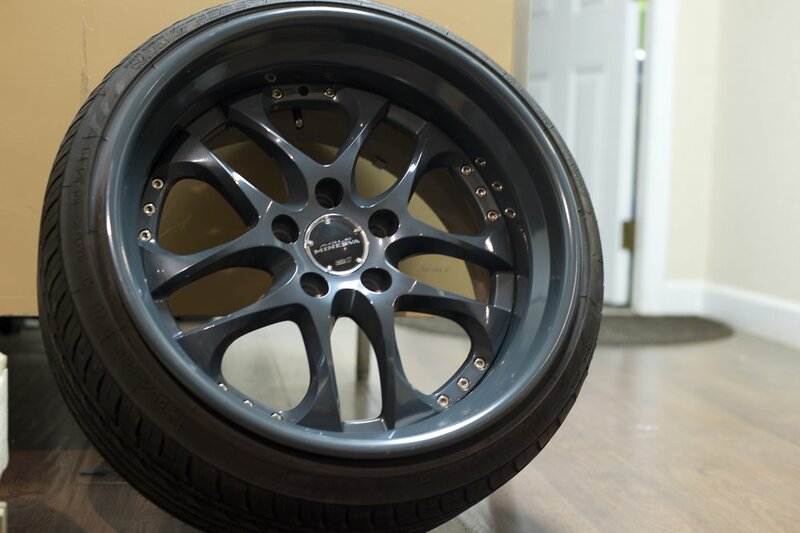 You will need to remove wheels, engine parts, etc. 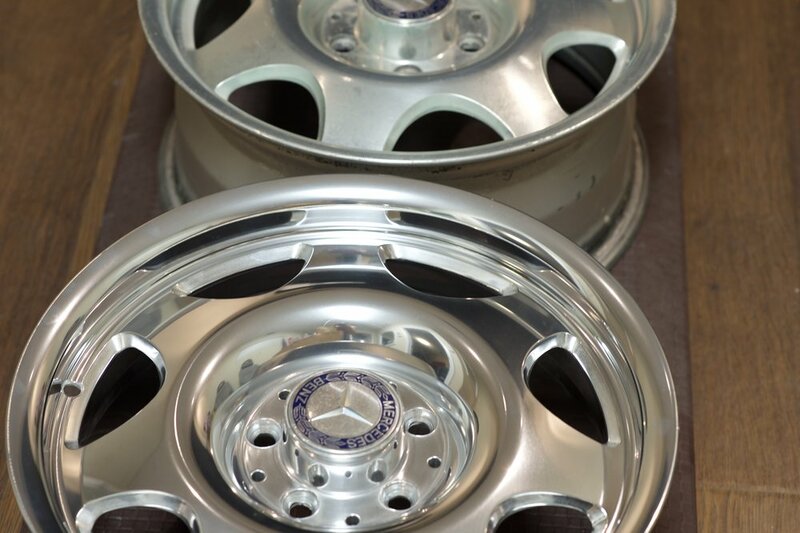 that you want refinished.